Dr. Se-A Chung is native New Yorker who was raised in Queens. Dr. Chung received the Doctor of Dental Medicine Degree from University of Pennsylvania School of Dental Medicine. She received an award for Excellence in Prosthetics. She then completed two years of Advances Education in General Dentistry at Columbia University College of Dental Medicine and Oral Surgery. 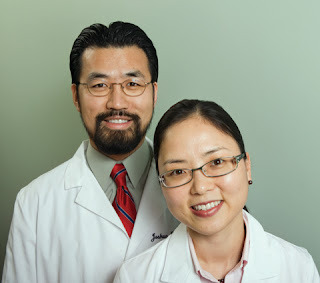 Dr. Chung also has advanced training in Orthodontics and is a Certified Invisalign Provider. She is an Active member of International Association for Orthodontics. She writes numerous dental research articles and also dental educational articles for the community including Tuxedo Business Portfolio. She is an Assistant Clinical Professor at Columbia University School of Dental Medicine and Oral Surgery. She live with her husband Dr. Joshua Chung and a son, Joshua Jr. in Tuxedo, NY. Dr. Joshua Chung graduated with dean’s list from Boston University Goldman School of Dental Medicine and received the Doctor of Dental Medicine Degree. He then served in community health centers in Boston, Cape Cod and Martha's Vineyard,MA. Dr. Chung also taught students from Harvard and Boston University. Dr. Chung has advanced training in Implant and Cosmetic Dentistry from New York University Dental School. He is currently Fellow from International Congress of Oral Implantologist. Also he is an active member of the Academy of General Dentistry and American Academy of Implant Dentistry. The Consumers Research Council of America has recognized Dr. Joshua Chung as one of the "TOP GENERAL Dentist in America" in 2006 and “Top COSMETIC Dentist In America” in 2007. Dr. Chung lives in Tuxedo with his wife, Dr. Se-A Chung and a son.